Home > Video and Audio Tips > 5 Best ExtraTorrent Alternatives after ExtraTorrent Shut Down Permanently 2019! Another one bites the dust! Yet a very successful torrent platform, second on the list after The Pirate Bay, has come to its end. ExtraTorrent was founded in November 2006, when there were not so many sites working for the torrent community. Only two were on the top that time, Mininova and TorrentSpy. ExtraTorrent made its way and created its own audience which kept growing with the time leaving Mininova and TorrentSpy behind. But surprisingly, ExtraTorrent decided to shut down permanently leaving its users in a deep shock. The users got a clear message about the demise of the site when accessing the page. It said, “ExtraTorrent with all mirrors goes offline. We permanently erase all data. Stay away from fake ExtraTorrent websites and clones. Thanks to all ET supporters and torrent community. ET was a place to be…”. ExtraTorrent’s operator Sam also confirmed this news in an interview he was giving to TorrentFreak. He confirmed that they are not coming back as the message on the site was presenting. With the demise of ExtraTorrent, the torrent community lost another very good and prominent platform. There has been a time when other torrent platforms like Kickass, Torrentz.eu (formerly known as Torrentz.com) and TorrentHound went offline and never came back. Users were not so happy about those demises and then they also get to see another big downtime of the torrent community. Anyway, torrents are now an essential part of our online life, as we always need to download torrent files in our daily life. And vendor will keep providing much more possible ways to download high-quality torrents. There still are other ways to get high-quality torrents. Next we will cover those ExtraTorrent alternatives in this article. Some of the great options are The Pirate Bay, YTS, RARBG, 1337x, and TorrentProject. Tips: If you need to convert your downloaded videos to other popular video formats or even audio formats, you may use this Video Converter to get help. It is the best one of the alternatives to ExtraTorrent until now, ranking number 1 overall and ranking 102 on Alexa Traffic Rank. The Pirate Bay is a place where you can find any kind of movies, games, videos, music or books, a place that has all kinds of torrent files. It also went offline once but got its place back very soon with its own domain. 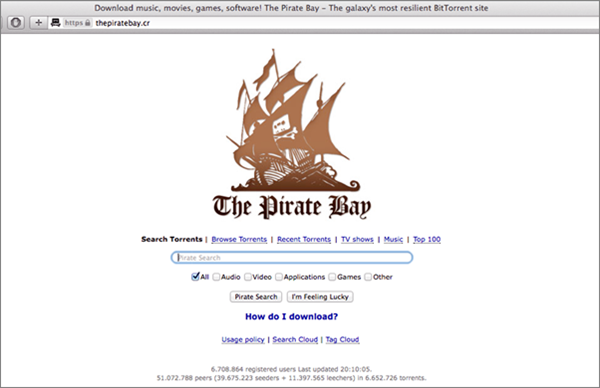 The Pirate Bay though doesn’t offer quality torrents but it assures for a wide range of torrents. Still, it made its rank so high that no other torrent partner has shaken its place. 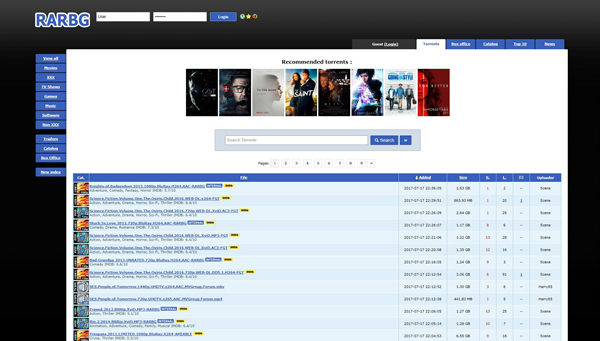 This one is also a very highly rated and high ranked website for quality torrents. Users of YTS sometimes find it hard to get a movie that is newly released because YTS only offers torrents with high resolution and Blu-ray quality. So users get to wait for a couple of months until the date of releasing of a specific movie comes. YTS was once known as YIFY keeping the title of the most popular platform of the internet. Later it changed its name to YTS after suffering from a takedown campaign. The best part of YTS is that it doesn’t rush the page with advertisements and unusual pop ups. RARBG is another high ranked torrent website as one of the ExtraTorrent alternatives providing high-quality movie torrents. Not like YTS which only provides Blu-ray quality downloads, this website has a wide range of torrents with various seeders and peers. Users of RARBG are quite satisfied with what they receive from the page. RARBG was founded in 2008 and it legally went down after a year of its opening. Keeping it’s simple and plain look, it went into reconstruction and started its operations again. It has become one of the best torrent platforms on the internet. This platform also provides torrents in different categories with a huge range of different quality torrents. You can find almost anything here. It was founded in 2007 with strict rules. For example, it doesn’t allow its users to spoil the terms and policies of the website, making it the most authentic website on the internet. Keeping all the projects and ethics of its parent site, this website is actually an alternative to Torrentz. 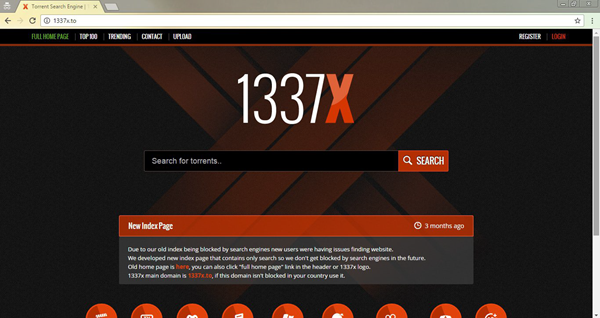 It works as a search engine for torrents. Basically, it redirects its users to different other websites of torrents and let the users decide where to go next. After the downfall of Torrentz, the website recreated to the name of TorrentProject. However, with the time and hardship, it flipped its number to 797 from 4500. Hope you have a good time reading this article to learn the best 5 alternatives to ExtraTorrent, and you can comment below if you have any question. Please keep an eye on our alternative ExtraTorrent website for more practical contents you will like!